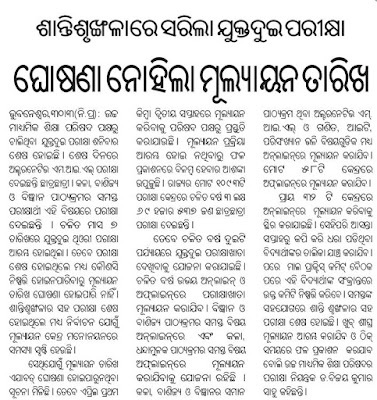 CHSE Odisha has Informed that Answer Sheet Evaluation will Start from April 1st or Second Week. Candidates are in Tensed that Is the Results will Publish Late Due General Election in State. CHSE Clarifies that Results Will Publish As per Schedule. No Need to Worry. Odisha +2 CHSE Exam was Finished On Sat. Lots Of Candidates Appeared for this Exam. Expected Dates for Results Publication is Last Week of May 2019. After that Candidates Can Apply for Various Higher Education Course as per their Wish. Candidates Can Check their Results On CHSE Official Website. 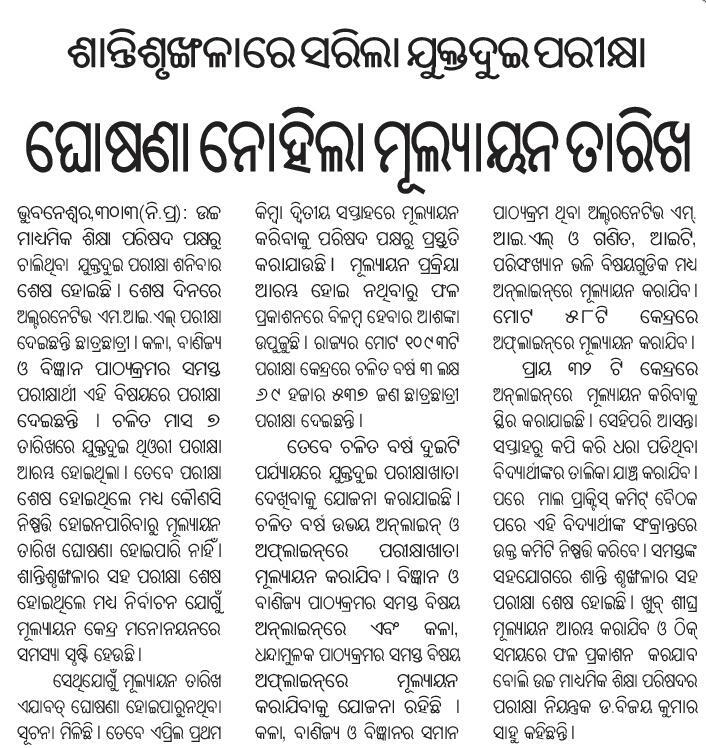 CHSE Will Publish Details about this. Candidates Need to Check Daily News Paper as well as this Site for Results Update. All the Results CHSE Wont Publish At a time. They will Publish Results Phase by Phase. First Science Results will Out, then Arts Commerce. Keep Checking this Site for More Updates.